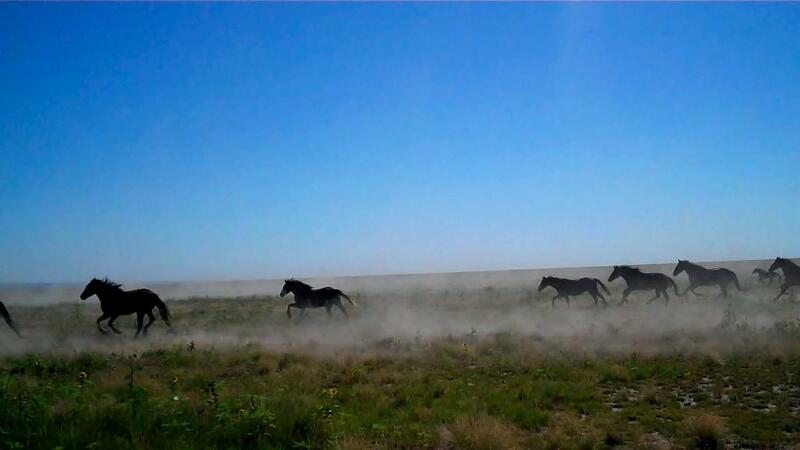 Yesterday I saw wild horses running wild. Huge herds of them, running loud and fast through half-mile long clouds of dust, just like in those old Westerns. I was on a ranch in southern Colorado where real cowboys let me see how they live and work. They were gathering up hundreds of horses for Cheyenne Frontier Days (a Pushkin PR client) and other rodeo events and I got to tag along. For someone who grew up wanting to be a cowboy, it was a once in a lifetime experience. Before you ask, the only injuries I saw were to humans and vehicles. The horses were fine and not a single one was mistreated or harmed in any way. After a long morning in the truck and the saddle, we all went back to the ranch house for a fantastic lunch. It was a typical day on the ranch, much like it's been for generations. Hard work, honest pay, good food and everyone is treated with respect, whether you have two legs or four. Well pardner, it got me to thinkin'. The people I met, the people who do this for a living, are just not the sort of people who would intentionally harm any animal. They brave blizzards to bring feed to remote pastures, they carry colts and calves through deep snow to safety and nurse them back to health, and they raise these animals like they are members of their own family. Some are bred to buck, some are bred to ride, and some are just born to be wild. Yet the people who run and participate in and attend rodeos are consistently attacked in a very personal and often crude way by people they've never met for a lifestyle and culture that has been passed down to them by their parents and grandparents and great grandparents. It's an Old West tradition they are proud of and they take their responsibility to uphold it very seriously. They have a code of honor that is based on respect and honesty and trust. Your word is your bond and a handshake is good enough. We live in a time when it's OK to judge and taunt and insult and ridicule and lie about anyone who is not just like us. We are way past the point of having reasonable dialogue. If you are from a different political party or race or religion or state or country or cause or Facebook group, it's OK to say whatever I want about you regardless of whether it is true or even makes sense. There is no room for common ground. Mutual respect? Fugetaboutit. In PR, we counsel our clients to engage in respectful dialogue and debate. Sometimes that is just not possible. If your mind is made up already, it doesn't matter what I say, I won't convince you to consider my point of view. The well is poisoned. Better not let the horses drink. So as I headed off down that hot old dusty road, I was struck by how people who I'd never met welcomed a stranger into their home and showed me a way of life I'd only seen on TV. And I was sorry that some people are so intolerant that they can never see something from another's point of view. That, buckaroos, is definitely not The Cowboy Way.